Draft: 2014, New York Yankees, 19th rd. 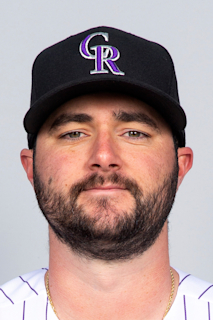 Attended the University of Pittsburgh, where he played three seasons (2012-14)…in 15 games (12 starts) as a junior in 2014, was 2-2 with a 2.90 ERA (71.1IP, 23ER) and led the Panthers with 56K…compiled a 34.1-inning streak without an earned run...Graduated in 2010 from Kennedy-Kenrick Catholic H.S. (Pa.), where he lettered three seasons in baseball and also played football. Combined to make 43 relief appearances between Double-A Trenton and Triple-A Scranton/Wilkes-Barre, going 3-2 with 11 saves and a 1.67 ERA (59.1IP, 34H, 12R/11ER, 25BB, 68K, 2HR)…his 11 saves were tied for second-most among Yankees farmhands in 2018…set career highs in appearances, innings pitched, saves and strikeouts...Following the season, pitched for Toros of the Dominican Winter League, holding opponents to just 1H in 3.2 scoreless innings over four relief appearances (two saves, 1BB, 7K)...Was added to the Yankees' 40-man roster on 11/20/18. April 23, 2019 New York Yankees optioned RHP Joe Harvey to Scranton/Wilkes-Barre RailRiders. April 10, 2019 New York Yankees recalled RHP Joe Harvey from Scranton/Wilkes-Barre RailRiders. March 12, 2019 New York Yankees optioned RHP Joe Harvey to Scranton/Wilkes-Barre RailRiders. November 26, 2018 Toros del Este placed RHP Joe Harvey on the reserve list. November 20, 2018 New York Yankees selected the contract of Joe Harvey from Scranton/Wilkes-Barre RailRiders. October 30, 2018 RHP Joe Harvey assigned to Toros del Este. May 6, 2018 RHP Joe Harvey assigned to Scranton/Wilkes-Barre RailRiders from Trenton Thunder. May 4, 2018 RHP Joe Harvey assigned to Trenton Thunder from Scranton/Wilkes-Barre RailRiders. April 22, 2018 RHP Joe Harvey assigned to Scranton/Wilkes-Barre RailRiders from Trenton Thunder. April 3, 2018 RHP Joe Harvey assigned to Trenton Thunder from Tampa Tarpons. March 2, 2018 RHP Joe Harvey assigned to New York Yankees. July 19, 2017 Tampa Yankees activated RHP Joe Harvey from the 7-day disabled list. June 28, 2017 Tampa Yankees placed RHP Joe Harvey on the 7-day disabled list retroactive to June 26, 2017. June 19, 2017 RHP Joe Harvey assigned to Tampa Yankees from Trenton Thunder. June 18, 2017 RHP Joe Harvey assigned to Trenton Thunder from Tampa Yankees. June 3, 2017 RHP Joe Harvey assigned to Tampa Yankees. September 6, 2016 RHP Joe Harvey assigned to Tampa Yankees from Staten Island Yankees. August 11, 2016 RHP Joe Harvey assigned to Staten Island Yankees from Charleston RiverDogs. August 1, 2016 Charleston RiverDogs sent RHP Joe Harvey on a rehab assignment to GCL Yankees East. July 30, 2016 Charleston RiverDogs sent RHP Joe Harvey on a rehab assignment to GCL Yankees West. July 14, 2016 Charleston RiverDogs sent RHP Joe Harvey on a rehab assignment to GCL Yankees East. July 9, 2016 Charleston RiverDogs sent RHP Joe Harvey on a rehab assignment to GCL Yankees West. April 7, 2016 Charleston RiverDogs placed RHP Joe Harvey on the 7-day disabled list. September 28, 2015 Charleston RiverDogs activated RHP Joe Harvey from the 7-day disabled list. May 28, 2015 Charleston RiverDogs placed RHP Joe Harvey on the 7-day disabled list. April 8, 2015 RHP Joe Harvey assigned to Charleston RiverDogs from Staten Island Yankees. June 26, 2014 RHP Joe Harvey assigned to Staten Island Yankees from GCL Yankees1. June 20, 2014 RHP Joe Harvey assigned to GCL Yankees1. June 12, 2014 New York Yankees signed RHP Joe Harvey.